This article was last updated Sep 06, 2017, but some terms and conditions may have changed or are no longer available. For the most accurate and up to date information please consult the terms and conditions found on the issuer website. The information related to the United℠ TravelBank Card and United℠ Explorer Card has been collected by CompareCards and has not been reviewed or provided by the issuer of this card prior to publication. These offers and/or promotions may have changed, expired, or are no longer available since publication. The United℠ TravelBank Card is a no annual fee card option for United flight rewards. It earns cash back into a TravelBank for redemption on United flights, has no annual fee, and no foreign transaction fees. There’s also a 25% statement credit on in-flight food and beverage purchases with the card, but like many things United the card isn’t dead simple, and there are some details to keep in mind, both positive and negative, when considering it for your wallet. The key thing to remember is this card does NOT earn United MileagePlus® miles. For that, you’ll need a MileagePlus earning credit card like the United℠ Explorer Card, or a card that earns points you can transfer into MileagePlus like the Chase Sapphire Preferred® Card. What are the earning multipliers? How do you use the TravelBank rewards? Does this earn United miles? Can you combine the TravelBank with United miles? Can you mix cash and TravelBank? Do you earn miles when you use the TravelBank? Is there a fee to refund or change TravelBank tickets? Can you use TravelBank funds to pay for award ticket fees? How is this different from the United℠ Explorer Card? Will you get free bags with the United℠ TravelBank Card? How does it compare to other no annual fee cards? Enjoy 25% back as a statement credit on purchases of food and beverages onboard United-operated flights, when you pay with your United℠ TravelBank Card. Rewards are earned as a percentage of spending on the United℠ TravelBank Card. Earn 2% in TravelBank cash per $1 spent on tickets purchased from United and 1.5% per $1 spent on all other purchases, redeemable for United flights. These rewards get deposited into a TravelBank account you can access while logged in on United.com. 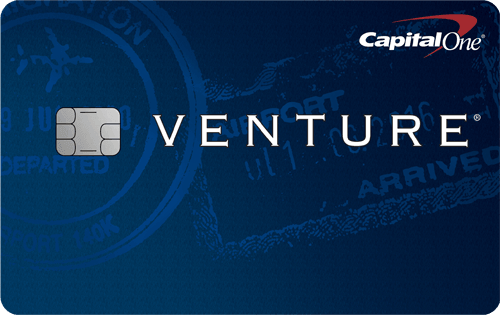 The United℠ TravelBank Card is fairly simple. The only purchase category that earns more back is United ticket purchases: Earn 2% in TravelBank cash per $1 spent on tickets purchased from United and 1.5% per $1 spent on all other purchases. The rewards earned from the United℠ TravelBank Card are worth exactly what they seem. If you earn $100 toward your TravelBank, it is worth $100 toward United flights. Yes, there is a sign-up bonus. The sign up bonus is $150 in TravelBank cash after you spend $1,000 on purchases in the first 3 months your account is open. You can choose to use your TravelBank rewards when you reach the payment page for a flight on United.com. It’s not necessary to select ‘travel bank’ at the beginning of your flight search. Rather, you can select to pay with your TravelBank at the end of the booking process on the payment page in the United payment types section. You must be logged into your United MileagePlus account to use the TravelBank, which is a little confusing, since the TravelBank has nothing to do with United miles. It’s possible to view the amount you have in your TravelBank by logging into the homepage of United.com. The big catch of the United℠ TravelBank Card is that it does not earn United MileagePlus miles. Rather, it earns cash rewards that may be used to book United flights on United.com. It is not possible to combine TravelBank funds with United miles. Yes, cash and TravelBank can easily be combined. If you have $75 in your TravelBank and would like to purchase a $200 ticket, you will be able to cover the additional ticket cost that isn’t covered by your TravelBank, in this case $125, with cash. Yes, you earn MileagePlus miles and Premier Qualifying Miles as long as the fare you purchase with the TravelBank funds allows it. It’s just like using cash to pay for your ticket. There is no special fee to change TravelBank tickets. You’ll pay the same change or refund fee you would if you purchased a ticket in cash, which varies with every fare. The TravelBank can expire. In order to keep your TravelBank from expiring, you must have activity on your account at least once every 18 months. Unfortunately, you won’t be able to use your TravelBank to pay for award ticket fees. TravelBank is currently only applicable for the purchase of non-award tickets. Both the United℠ TravelBank Card and the United℠ Explorer Card allow the cardholder to earn rewards that can be used for United flights, but they work a little differently. The United℠ TravelBank Card earns cash back that is banked with United and can be redeemed for United flights in any amount – the difference between the TravelBank funds and the flight cost is paid in cash. The United℠ Explorer Card earns United MileagePlus miles. United miles can be redeemed for flights with United and dozens of partner airlines, like Air Canada and Lufthansa, while the TravelBank rewards can only be used on United flights. So for example, if you see a ticket on United.com that has both United and Lufthansa flights involved, you can’t use your TravelBank rewards. Also with the United℠ Explorer Card, the cost of an award ticket is based on an award chart rather than variable based on the price of the cash ticket. Additionally, the United℠ TravelBank Card can be used as long as seats are available for sale for a specific flight, but award tickets booked with miles are capacity controlled. The United℠ TravelBank Card doesn’t offer any United free bag or priority boarding benefits, but it does offer 25% off in flight food purchases, something the United℠ Explorer Card doesn’t offer. You won’t get free bags United℠ Explorer Card to pay for part of the ticket. It’s possible to pay with both the United℠ TravelBank Card and the United℠ Explorer Card, since you can select as many or as few TravelBank Rewards on each ticket you buy. So for example, you could pay for a $200 ticket with $150 in TravelBank Rewards and $50 with your United℠ Explorer Card. One of the great things about the United℠ TravelBank Card is that it doesn’t have an annual fee, but it’s far from the only other no annual fee card out there. The most interesting thing the United℠ TravelBank Card brings to the table is the fact it’s a no foreign transaction fee card that earns 1.5% – 2% back on purchases, and offers $1,500 worth of trip insurance every time you pay for a trip with your card. That’s pretty close to the popular Bank of America® Travel Rewards credit card — earn 1.5 points per $1 spent on all purchases. The United℠ TravelBank Card’s advantage comes in the form of up to $1,500 worth of trip insurance with every trip you buy with the card that can cover the pre-paid, nonrefundable part of your fare if you can’t make a trip due to severe illness or injury. Delta has the Blue Delta SkyMiles® Credit Card from American Express with a $0 annual fee. This card earns real Delta SkyMiles, instead of a separate travel rewards currency, which is a plus. Earn 2 miles per dollar at US restaurants. Earn 2 Miles per dollar spent on purchases made directly with Delta. Earn 1 mile on every eligible dollar spent on other purchases. But it has foreign transaction fees: 2.7% of each transaction after conversion to US dollars. Some other key cards to take a look at are the Chase Freedom®, Discover it® Miles, and The Amex EveryDay® Credit Card from American Express. Each of these cards has its own positives and negatives and may be a better or worse fit for you depending on your credit card needs and spending patterns. 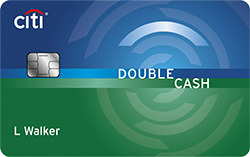 The Discover it® Miles, like the United℠ TravelBank Card, is effectively a cash back card. It earns Unlimited 1.5x Miles per dollar on all purchases, every day and those miles can be used to redeem for flights on any airline, not just United. These miles can also be redeemed for other travel purchases like hotels and rental cars, or even for cash. The Chase Freedom® also acts like a cash back card unless you have a premium Chase credit card like the Chase Sapphire Preferred® Card or the Chase Sapphire Reserve®, in which case you can combine the points with your Chase Sapphire Reserve®. With the Chase Freedom®, you Earn 5% cash back on up to $1,500 in combined purchases in bonus categories each quarter you activate. Enjoy new 5% categories every 3 months. Unlimited 1% cash back on all other purchases. It doesn’t waive foreign transaction fees, but some versions have trip insurance. There’s no way to tell in advance if your Chase Freedom® has trip insurance, since it’s determined by your credit line, with higher credit lines getting a Visa Signature version that includes trip insurance coverage. The Amex EveryDay® Credit Card from American Express can be used to redeem points like cash, but also offers the ability to transfer Membership Rewards® points to airline partners including British Airways, Air Canada Aeroplan, and more. While this is much more complicated, there’s also the potential to get more value out of points by utilizing transfer partners. There are also many other no annual fee card options available. No, the UnitedTravel Bank card is not Chip *and* PIN like these cards, but it does have an EMV chip.